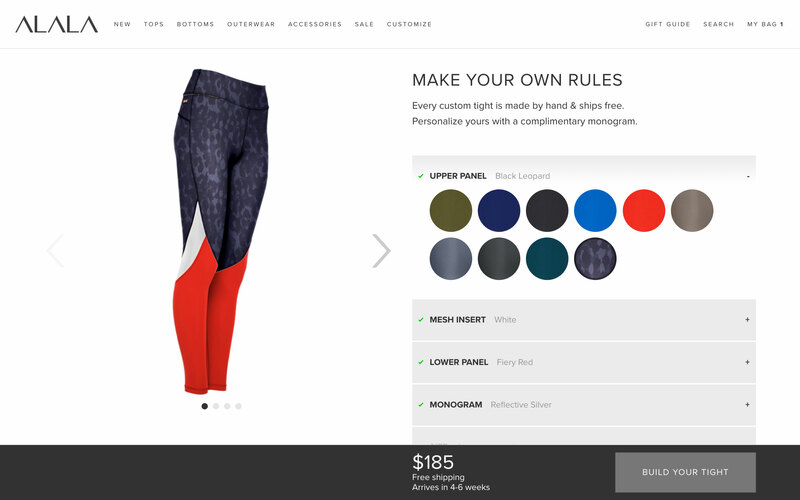 When you sell made-to-order activewear, the shopping experience needs to reflect the same premium qualities being purchased. 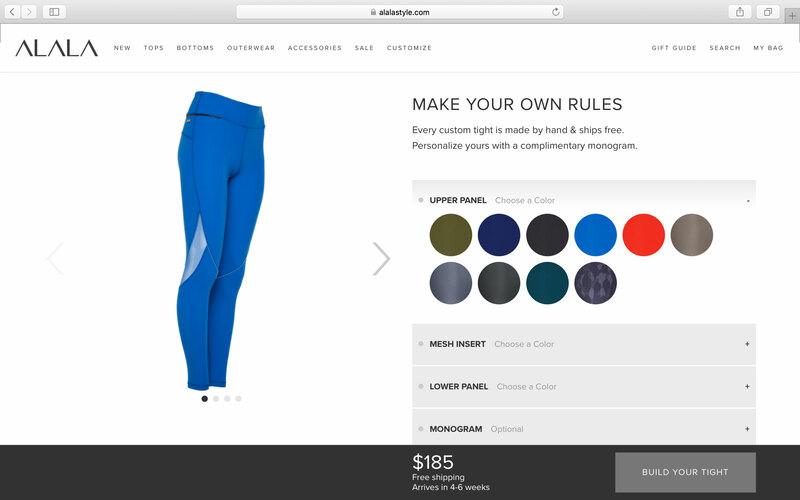 ALALA turned to ShopPad to develop a responsive product builder for their luxury activewear so shoppers can personalize their tights and even see their choices in a real-time preview. 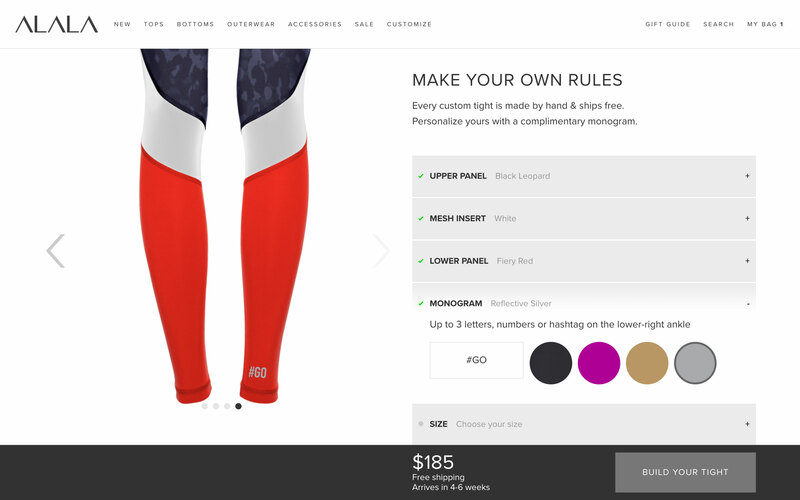 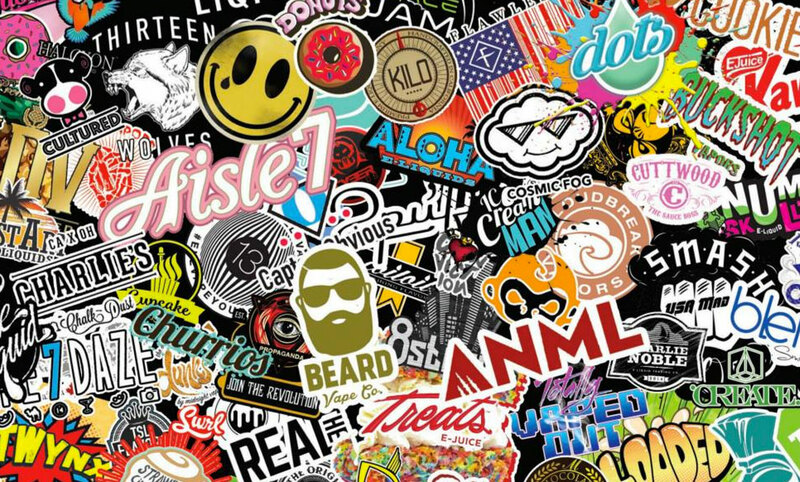 Shoppers can view their changes from the front, back, side and even a close-up of their monogram so everyone in the gym knows they mean business.